Much as I love my chunky knitwear, some days you just can’t beat a simple bow tie blouse for style and elegance. 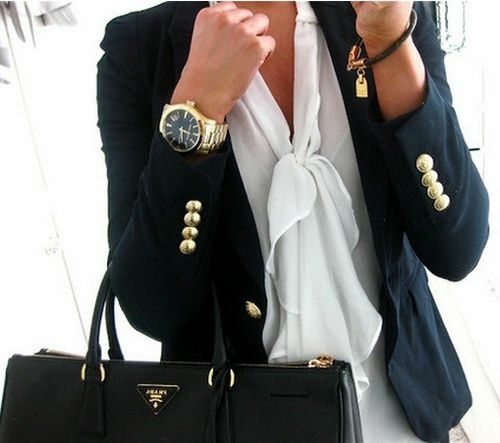 They look so pretty-especially for spring and I love how they can transform an ordinary outfit in minutes. Here are a few gorgeous styles I love…. 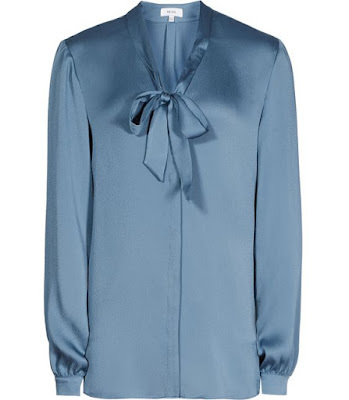 Love this gorgeous Azure blue one from Reiss – fabulous to dress up your everyday denims! It would also look great worn with grey wool trousers as seen above…. 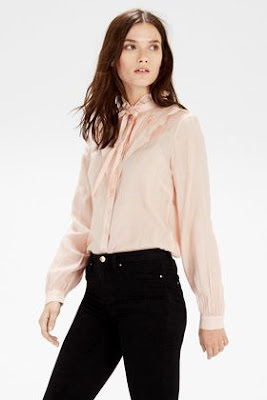 Or you can’t beat a simple white blouse and this pleat yoke one from Asos is just gorgeous…. Hope you are all enjoying the week! My youngest is doing her mock junior cert exams so the Nespresso machine is taking a bit of a battering this week – for me not her I might add!